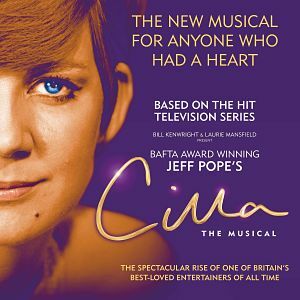 Cilla the Musical opens at Liverpool Empire on 7th September before embarking on an extensive UK tour. Joining the previously anounced Kara Lily Hayworth as Cilla is Andrew Lancel as Brian Epstein, Carl Au as Bobby, Amy Bridges as Rose Willis, Gemma Brodrick-Bower as Pauline, Paul Broughton as John White, Joshua Gannon as Paul McCartney, Michael Hawkins as John Lennon, Bill Caple as Ringo Starr, Tom Christian as Kenny Willis, Tom Dunlea as Hutch, Pauline Fleming as Big Cilla and Billie Hardy as Pat with Alan Howell, Jay Osbourne, Alex Harford, Will Kinnon, Jenny Murphy, Tom Sowinski, and Christopher Weeks. Dunlea, Hawkins and Brodrick-Bower all starred in Jeff Pope's original TV series Cilla which starred Sheridan Smith in the tiele role. Ex Corrie actor Lancel (he played Frank Foster) has also played the role of Epstein previously in Epstein – The Man Who Made The Beatles and most recently was Captain von Trapp in the Bill Kenwright tour of the Sound of Music.